Part of the problem is that people believe their political leaders are out of touch, listening to the few rather than the many. 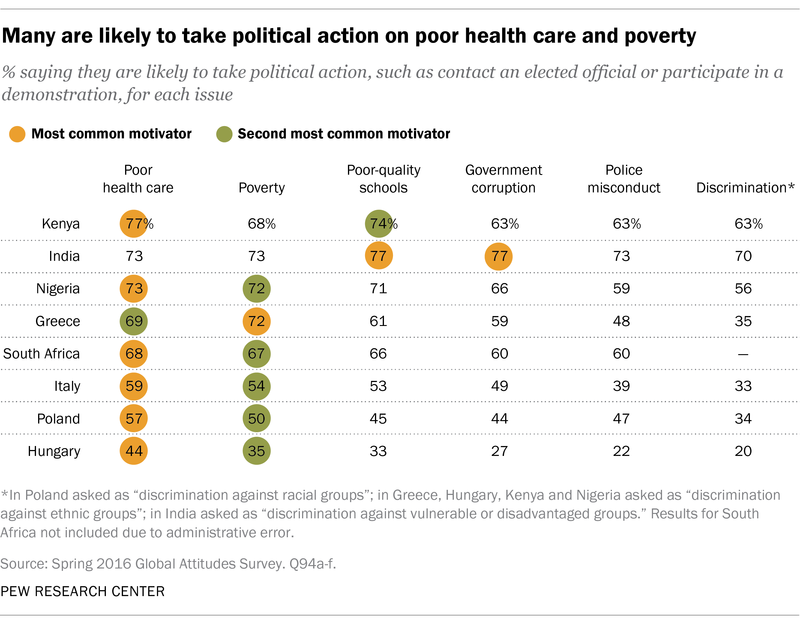 In eight of nine countries we recently polled , more than half said government is run for the benefit of only a few groups in society, not for all people. This finding echoes complaints regularly heard in the US and Europe about distant elites in Washington and Brussels, or the frustration many feel in middle and lower income nations about corrupt officials in their capital cities.